You have nice recipes in your blog. Check out Femlina.com. It is India’s first women’s social network. You can join and share your blogs, photos and videos about your recipes. Shobho Bijoya and Thanks for visiting my site . Thanks for the lovely entry Sudeshna. Looks like the perfect Sunday Lunch recipe. Happy Durga Puja! 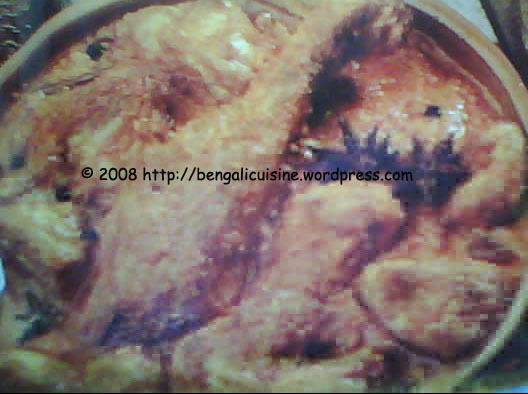 Happy Durga Pooja dear…Chicken looking yum….how r u? Bangalore e ki Durga pujo hoye na? happy durga puja sudeshna….very nice recipe!